I love to follow trend but one thing that really amazes me and amuses me is when I buy something just because I like it and then I end up finding out it's a big trend - and I didn't even know about it yet ! It happened this way when I went to New York, last July, for my honeymoon (it's been 9 months exactly today, by the way ;)) and I entered the Alice + Olivia shop. I quickly fell in love with a simple yet elegant dress with a ruffle on the waist, a little black dress with something more that I had to buy immediately. It reminded me of Victoria Beckham designs, I have found out that the name of this design was Victoria - it could not be a coincidence !. Well, only a few months later I found out that kind of dress was called a peplum dress and I could not imagine it would be very trendy and I would hear a lot of about it !. You can see the dress at Saks Fifth Avenue website - it's still available - here. Mi piace seguire le mode ma una cosa che mi stupisce e diverte è quando compro qualcosa semplicemente perché ne sono colpita e scopro solo tempo dopo che si tratta di qualcosa molto trendy !. Mi è capitato quando sono andata a New York, lo scorso luglio, in occasione della mia luna di miele (sono esattamente nove mesi di matrimonio proprio oggi ;)) e sono entrata nel negozio di Alice + Olivia. Mi sono subito innamorata di un abito semplice ed elegante con una balza in vita, un little black dress con qualcosa in più che ho finito per comprare immediatamente. Mi ricordava i modelli di Victoria Beckham, infatti ho scoperto che il nome dell'abito era Victoria - non poteva essere una coincidenza !. Solo pochi mesi dopo ho scoperto che questo tipo di modello si chiama "peplum" e si tratta di un modello di gran moda e del quale avrei sentito parlare parecchio !. L'abito in questione è ancora in vendita sul sito di Saks Fifth Avenue, potete dare un'occhiata qui. Lately I've been seeing peplum skirts and dresses a bit everywhere, both into shops, fashion magazines and a few fashion blogs, and I was even more proud of my New York dress that struck me without the support of any "trend alert" !. In these pics you can see me wearing it with my brand new Cesare Paciotti shoes, love the color, it's a hot pink with tiny red profiles...perfect match to my beloved color block Marc by Marc Jacobs bag !. 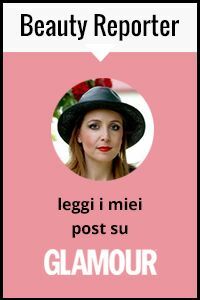 Ultimamente ho visto gonne e abiti peplum un po' ovunque, sia nei negozi che nei giornali e su diversi fashion blog, e io sono stata ancora più orgogliosa del mio abito newyorkese che non ha avuto bisogno di alcuna "allerta trend" per colpirmi !. In queste foto potete vedere il mio abbinamento con le nuove scarpe di Cesare Paciotti, amo il colore, è un rosa carico con sottili profili rossi...perfetto abbinamento con la mia adorata borsa color block Marc by Marc Jacobs !. Instead of using a necklace, I have decided to wear a collar from Pull & Bear, I often find some cute accessories there. The nail polish I used is brand new, it's called "Plaza" and is from Dior just like the Dior Addict Extreme lipstick with the same name. I love this vibrant shade of pink/fucsia !. I have recently bought also a peplum skirt, this time from Zara, and from a less glamorous location than New York City ! You'll see it soon in another post...for now, let me dream about my days in the Big Apple, hoping I can go back there again very soon !. Invece di indossare una collana, ho deciso di optare per un colletto di Pull & Bear, spesso vi trovo degli accessori veramente carini. Lo smalto usato è nuovissimo, si chiama "Plaza" ed è di Dior come il rossetto Dior Addict Extreme che porta lo stesso nome. Mi piace questa tonalità vibrante di rosa carico/fucsia !. Ho comprato di recente anche una peplum skirt, stavolta da Zara, presso una località molto meno glamorous di New York City ! La vedrete presto in un altro post...per ora, lasciatemi sognare ripensando ai miei giorni nella Grande Mela, con la speranza di poterci tornare ancora molto presto !. lovely outfit, love the purple color on you! Very beautiful look - love your color combination... perfect! bruna presenta su colección más dulce Sweet Candy, te lo vas a perder??? I really want to see your all jewelery. Very pretty dress! I'm thinking of getting one that is white at the top and is hot pink from waist to the bottom. Nonetheless, you're wearing a great dress! Hi Vale! I am following you via bloglovin and now via google friends. I love your outfit today. Amazing pop of color. WOW! the bag is unique!!!!!! i really love the colors! amazin'. Great outfit! This black dress looks really pretty and I love how your have matched it with pink. i really like your color combo! pink and everything in the family of pink is my fav! really digging your shoes! LA borsa è bellissima caraa!! mi piace moltissimo il vestito e come l hai abbinato!!! Great colour of your outfit! peplum & purple = perfection!!! Love orange/red and pink together- this MJ bag is to die for! Molto carina! e che bella la borsa!! Auguri per l'anniversario di matrimonio! :) un bacione cara! I love this color! You look fabolous!!! Fabulous outfit, i love your shoes. those accessories look really awesome!! great colors! Lovely dress, such a beautiful look! thanks for the comment honey! sure we can follow each other! I am following you now with GFC and bloglovin! gorgeous look! love the allback with bright details! fab look! L'ho sempre detto che sei avanti!!! E soprattutto vedo che l'abito è di alice + olivia marca che adoro, come adoro le scarpe.....mmmmmm te le ruberei!! Bello il look hai usato dei colori che adoro! And I'm following you on GFC, want to follow back? Hi Vale, thank you so much for your lovely comment. Of course, I am following u via gfc, fb, twitter and bloglovin! bello l'abbinamento dei colori con il vestito nero! il peplum è un modello che piace anche a me, andava di moda anche nel'89/90, mi rendo conto sempre di piu che nella moda ritorna tutto, non bisogna mai buttar via niente. f you want we can follow each other! Amazing work once again. The pics are perfect and the post is fantastic. Thank you so much for your lovely comment on my blog!! This bag is amazing! I like all of your bags! Vale! I can't believe this is the first time I've visited your blog. I'm now following you on Facebook as well. First of all, YOU'RE GORGEOUS! Secondly, I love this outfit. I adore peplum dresses, and I really want to find one. This black one is perfect because you could change it up so many ways. But I love the way you've styled it...it looks amazing and so do you! I'm glad I finally visited your blog...I'll definitely be back! very nice outfit... I love your shoes..
That's very cool haha.. The dress is pretty. ...bello il vestitino...le scarpe...e la borsa...tutto!!! Romwe Easter Giveaway: we have the winner !